Should an Auto Dealer Insurer Defend an Auto Dealer Against “Intentional” Violations of Federal and State Credit Sale and Leasing Disclosure Laws? One of the most significant differences between the Garage Liability Policy and the new ADCF policy is the addition of “Acts, Errors or Omissions” coverage in Section III of the ADCF policy. This optional liability coverage is primarily designed to protect the auto dealer against claims resulting from the dealer’s violation of certain specified consumer protection laws that regulate the dealer’s finance and insurance operations such as the Truth in Lending Act (“TILA”) and Regulation Z, its implementing regulation, Consumer Leasing Act (“CLA”) and Regulation M, its implementing regulation and Title IV Odometer Requirements of the Motor Vehicle Information and Cost Savings Act (Federal Odometer Act (“FOA”)). Prior to the ADCF policy, most auto dealer insurers offered coverage for these risks under statutory errors and omissions endorsements which varied in scope from insurer to insurer. 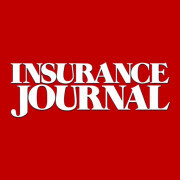 (Auto dealer insurers who do not subscribe to ISO continue to use their own policy forms). Historically, auto dealer insurers have offered protection against a larger assortment of consumer protection laws than described in the ADCF policy. The ADCF policy does not, for example, insure violations of the Federal Trade Commission’s Used Car Buyer’s Guide (which can give rise to a private cause of action under the Magnusson-Moss Warranty Act), prior vehicle damage disclosure statutes or aftermarket parts disclosure statutes. The ADCF policy also excludes coverage for liability resulting from the Fair Credit Reporting Act (“FCRA”), Gramm-Leach-Bliley Act (“GLB”) and damages which relate to violations of the Equal Credit Opportunity Act (“ECOA”), Federal Trade Commission (“FTC”) Privacy and Safeguards Rule, Telephone Consumer Protection Act (“TCPA”), Junk Fax Prevention Act (“JFPA”), CAN-SPAM Act and various FTC rules and regulations. This article provides a general overview of the insuring clause in Section III of the ADCF policy in the context of truth-in-lending and truth-in-leasing claims. Understandably, there have been no reported decisions interpreting the acts, errors or omissions coverage of the ADCF policy. However, case law interpreting pre-ADCF statutory errors and omissions coverage will provide guidance on the new policy form. Case law interpreting pre-ADCF policy forms will be the subject of a future article. The policy defines “act, error or omission” to mean “any actual or alleged negligent act, error or omission committed by an “insured” in the course of your “auto dealer operations” arising: [o]ut of an “insured’s” failure to comply with any local, state or federal law or regulation concerning the disclosure of credit or lease terms to consumers in connection with the sale or lease of an “auto” in your “auto dealer operations”, including, but not limited to, the Truth In Lending and Consumer Leasing Acts. [A]ll sums which the insured shall become legally obligated to pay as damages in an action brought solely under 15 U.S.C. Sec. 1640 (Consumer Credit Protection Act-Public Law 90-321, Title I, as amended), because of error or omission during the policy period in complying with any requirement imposed under 15 U.S.C., Section 1631 et seq. [A]ll sums which the INSURED shall become legally obligated to pay as damages solely by operation of Section 130, Civil Liability, of Title 1 (Truth in Lending Act) of the Consumer Credit Protection Act (Public Law 90-321; 82 State 146, et seq.) because of error or omission in failing to comply with said section of said Act. [A]ll sums which you are legally obligated to pay as “damages” solely because of negligent acts, errors or omissions in failing to comply with federal, state or local statutes or regulations specifically pertaining to truth in lending, including 15 USC 1601 et seq. [A]ll sums the insured legally must pay as damages…because of [“any claim or suit filed against you…by or on behalf of…a customer…because of an alleged violation during the Coverage Part period, of any federal, state or local…truth-in-lending or truth-in-leasing law”]. [A]ll sums an “insured” legally must pay as “damages” arising from an “occurrence” because of an alleged or actual negligent act or “error or omission” by an ‘insured’ occurring during the policy period of this policy and resulting from … a civil violation of any federal, state or local statute that regulates specific disclosures required to complete . . . [c]onsumer financing agreements . . . [or] . . . [c]onsumer leasing agreements”. [A]ll sums for which the “insured”…becomes legally obligated to pay as damages arising solely from an “occurrence” involving any negligent act, error or omission committed by the “insured” in failing to comply with [TILA] or any State law on Truth in Lending”. Analyzing suits under such provisions can be complex. While it is not difficult to identify a cause of action seeking damages under the federal TILA or CLA, coverage under the ADCF policy is not limited to TILA or CLA claims. (Compare to the first two insuring clauses cited above which restricted coverage to “damages in an action brought solely under” TILA.) 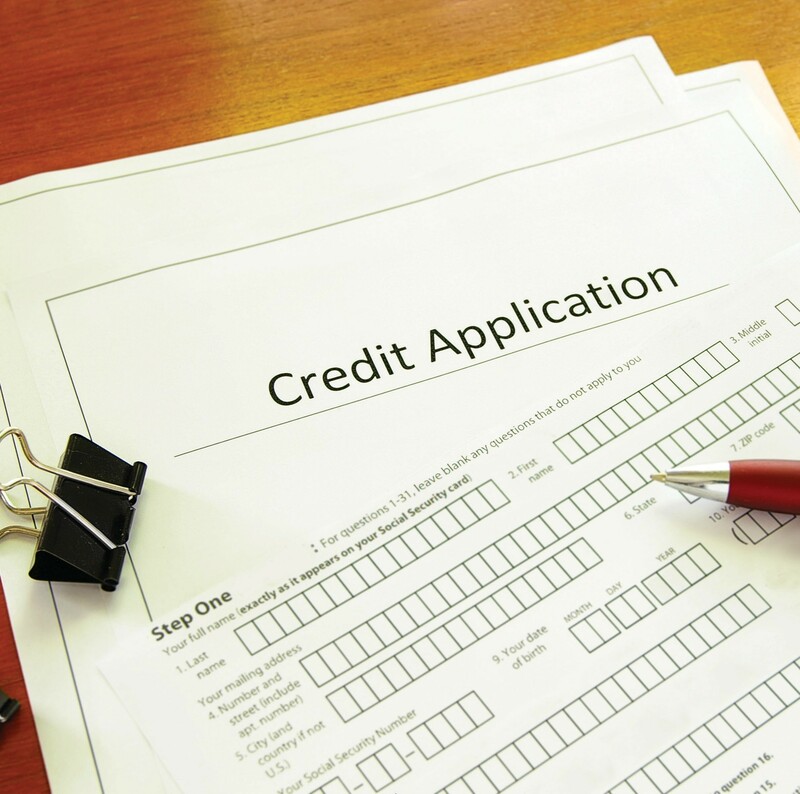 The ADCF policy extends coverage to “any local, state or federal law or regulation concerning the disclosure of credit or lease terms to consumers….” Thus, the policy may extend coverage for violations of state motor vehicle retail installment sales acts (which generally require disclosure of the same credit or lease information required to be disclosed under the federal TILA or CLA), uniform consumer credit code or any statute or regulation that has the same purpose and objective as the TILA or CLA, so long as the specific statute or regulation alleged in the complaint “concerns” disclosure of credit or lease terms. The term “concerning” is a broad term that is similar to “involving” or “connected with” and is probably broader in scope than other prepositions or prepositional phrases often used in insurance policies, such as “under,” “because of,” “arising from,” or “resulting from”, which are quite broad themselves. In addition, a consumer’s complaint may contain an “embedded” truth-in-lending or truth-in-leasing claim. That is, the consumer may allege a violation of the TILA or CLA (or state motor vehicle retail installment sales law) as a predicate to establish liability under a consumer protection statute which prohibits retailers from engaging in unfair, dishonest or deceptive trade practices such as a Consumer Fraud Act (CFA) or a Uniform Deceptive Trade Practices Act (UDTPA). Generally, CFA and UDTPA claims should not trigger coverage because they do not constitute a truth in lending or truth in leasing law and their purpose differs from the purpose and objectives of the TILA or CLA. Rather, CFA and UDTPA statutes generally apply to all retail industries, are generic in scope and do not impose any affirmative obligations on retail sellers to disclose any specific credit or lease terms. Although there may be occasional overlap in the effect of the statutes, CFA and UDTPA legislation usually has a much more general purpose than truth-in-lending and truth-in-leasing statutes – i.e., to prevent unfair, dishonest and deceptive practices in all consumer transactions. There have been cases involving embedded truth-in-lending claims under pre-ADCF policies which will be discussed in a future article. While the determination of whether a cause of action falls within the insuring clause is dependent on the precise language of the insuring clause, the following three-part test is a useful guide. In addition to affording coverage when (1) the statute or regulation which is the subject of the cause of action is itself described in the insuring clause, the ADCF policy may also provide coverage when (2) the statute or regulation which is the subject of the cause of action has as its purpose the same objectives as a statute or regulation described in the insuring clause; or (3) the statute or regulation which is the subject of the cause of action contains a provision which “borrows” violations from other statutes and the borrowed statute is either described in the insuring clause or has as its purpose the same objectives as a statute or regulation described in the insuring clause. It is important to note that while a specific statute or regulation may qualify for coverage under the insuring clause, the relief sought in that particular cause of action must also qualify for coverage. A consumer’s complaint will invariably seek several different types of relief such as actual damages, statutory damages, equitable remedies (rescission and/or restitution), penalties and injunctive relief and possibly punitive damages. Each element of relief sought must be analyzed to determine whether it falls within the insuring clause or is excluded by other provisions of the policy or barred by public policy of the applicable jurisdiction. The types of damages which are recoverable under the Acts, Errors and Omissions coverage will be discussed in a future article. As noted above, there have been no reported decisions interpreting the acts, errors or omissions coverage of the ADCF policy. ISO came out with the policy in late 2013. However, case law interpreting pre-ADCF statutory errors and omissions coverage provides guidance on the new policy form. This case law will be the subject of a future article on this blog. This entry was posted in ADCF Policy, Auto Dealer, Consumer Leasing Act, Errors & Omissions, Truth in Lending Coverage and tagged Acts Errors and Omissions Coverage, Auto Dealers Coverage, Auto Dealerships. Bookmark the permalink.